It’s July 22nd in Raccoon Creek State Park’s Nichol field. Some 90 or 100 acres of that rare habitat is an open field. Monarda Fistulosa prefers dry fields. That contrasts with closely related Bee balm (Monarda Didyma) which we find in moist habitats. Two related species but they live two different habitats. Wild Bergamot is open for business mid-mornings, attracting fritillaries and swallowtail butterflies. Their nectar must be tasty, because these butterflies hover over these blooms for many minutes at a time. This behavior continues for several weeks, until there are few blooms and there is no use in the butterfly making a stop there. 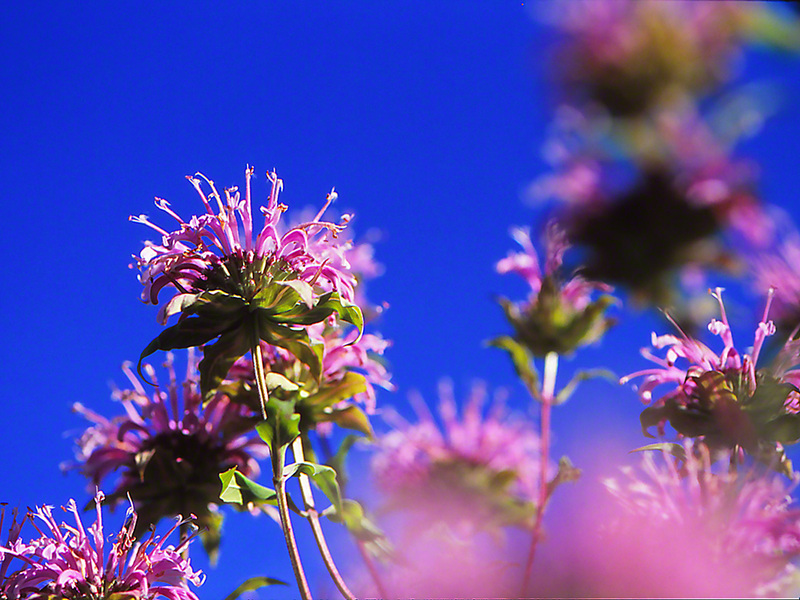 At 4 feet tall or more, wild Bergamot presents a great subject for photographing. It’s the right place and time. It’s time to slow down, savor and reflect on native wildflowers. I’m so happy to see that bergamot is a native! So many plants that I see online aren’t. I’m glad that this one was open for business. Luise…Louise, I am so happy to enjoy your message. So many trips to Whole Foods, and no chance encounters in the parking lot! They are something, aren’t they. Beautiful wild flowers. I am familiar with Bee Balm, from the mountains in north GA, but not this one. Thanks for sharing, Jeff.